Gramiksha's most important work is child education. Scholastic learning is no longer sufficient for today's youth. 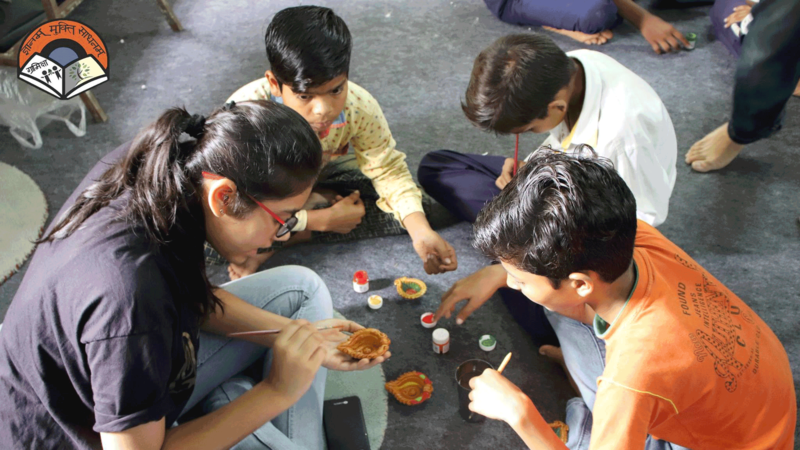 As part of our flagship project, Udaan, we aim to give children a holistic education. We strive to create individuals who will be conscious members of society in the future. Thus, we use innovative ways for child education, and not just conventional academics. Our driven volunteers keep finding new ways to be more interactive and interesting. Children learn integral life lessons, all while having fun. In project Udaan, our volunteers go to certain schools to teach needy children. On one such day, we used a creative technique to explain duties of professionals that the kids aspired to be. The volunteers asked the children what they wanted to be in the future. Based on their answers, we divided students into the roles they would play if they were what they wanted to be. For example, the child who wanted to be a policeman was given the task of ensuring discipline for that day. He/She had to ensure all the other kids were punctual, obedient, in correct uniform, etc. They also saw to it that no fighting occurred in the classroom; a huge responsibility for a 10 year old! Similarly, someone who dreamt of being a doctor looked after the cleanliness of the class and the general hygiene of their peers. This activity resulted in students and their teachers having lots of fun- those who wanted to become pilots started making and throwing paper planes around the class! The young minds thus learned about the roles they would one day play in society, in a way that ensured they would never forget. A traditional approach to this would have resulted in another boring lesson. Our volunteers went to paint a school where our students studied. We aimed to beautify the school and surprise the kids when they came after the weekend. But our children made this impossible. 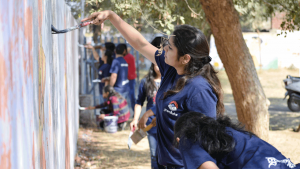 On hearing that their bhaiyas and didis were painting the school, they came to help us out. Over the hot summer days, all the kids were with us throughout. While we took our breaks now and then and felt weary at times, the children were tireless. With a constant smile on their faces, they worked with us to paint their school with no breaks and no sign of exhaustion, or complaint. We marveled at how 10-11 year olds could be so energetic and enthusiastic! The spirit and dedication of the children was truly remarkable. After finishing painting, we were left with so much to think about. Child education is of great importance to us, and it is immeasurably heartening to see children give so much back. Their commitment showed how much they cared about their school and their young teachers at work, and there can be nothing more satisfying for us than this. 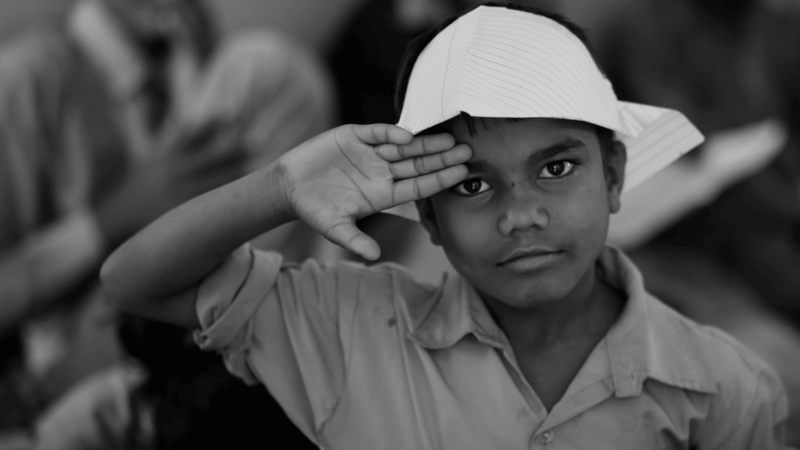 At Gramiksha, we believe that education is the most important part of a child's life. It shapes the kind of individual they will be in the future. We also try to give children a perspective at a young age, which will help them through their life. Thus, we strive to actively educate children, not just make them learn. To know more about our flagship project, Udaan, click here.